We offer one to one counselling at a reduced cost for the local community. We have recognised that services providing this kind of help are more difficult to access and are not available to many people. We aim to provide a safe place for you to explore your thoughts, feelings and difficulties in life. All of our counsellors are trained to listen, understand and help the individual to gain a new perspective. When you make contact with us we will discuss your needs, arrange to meet with you and talk about how we will work together. There is some paperwork involved but we keep this to a minimum. All information and the content of the sessions will be kept confidential. 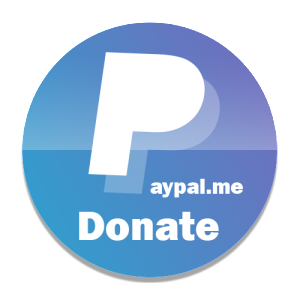 We ask for donation towards the service we offer, even if it’s just £1. Paying what you can afford shows a level of responsibility. We also offer family and relationship counselling for those who want to discuss issues in their relationship that are hard to resolve and need someone trained to talk about the difficulties that are being experienced and to help the individual(s) gain a new perspective on their relationship. We work to a Person Centred Approach which means that you work to your agenda and aren’t judged on your life choices and situation. The aim of counselling is to help you have a greater understanding of self; improve self esteem and quality of life. Counselling can be emotionally challenging and there is a level of commitment involved which we will discuss with you on meeting. We have many years of collective knowledge and experience to offer young people and students through local secondary schools and colleges. This is not an exhaustive list and we are able to put together workshops on many mental health and current issues that affect young people and can impact on their education, home life and confidence. This could be Facebook, Cyberbullying or crime for example. We also have volunteers who are willing to share their life experience to give a greater insight and help young people identify and overcome their personal issues. See our contact page to find out how to get in touch with us about Educational Workshops. We believe in connecting people, to help build relationships and to create a supportive environment. We hope to achieve this by offering local people the chance to be part of different sporting and recreational activities, for example we have a recovery football team on the 5-a-side league, which meets every Monday and has much fun, with all involved enjoying fun in a social environment. If you would like to be part of our community projects as a volunteer, or just want to have some fun and meet new people, feel free to contact us using our contact page.